Jeppesen Plotters - the most accurate way to get there and back. Choose from navigation and enroute plotters, rotating azimuths and others. For Customers in the Americas, purchase from JeppDirect here. For Customers outside of the Americas, purchase from JeppDirect here. We have a full line of accessories, including kneeboards, fuel tester, pilot flashlight system, JeppShades and chart pockets. 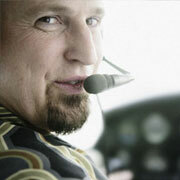 Maintaining accurate records of your flight time, aircraft and conditions is a must. Jeppesen logbooks provide a permanent record of your flying history. Choose from a number of traditional logbooks. Check out our Jeppesen pilot bags, developed for pilots who are constantly on the go. Choose from our selection of rugged Samsonite, black or brown, top-grain flight cases that offer the ultimate in convenience and utility.